A pleasant dram and playful dram! Pinot noir (there is a first time for everything), fruits, soap, green tea leaves. Bizarre. 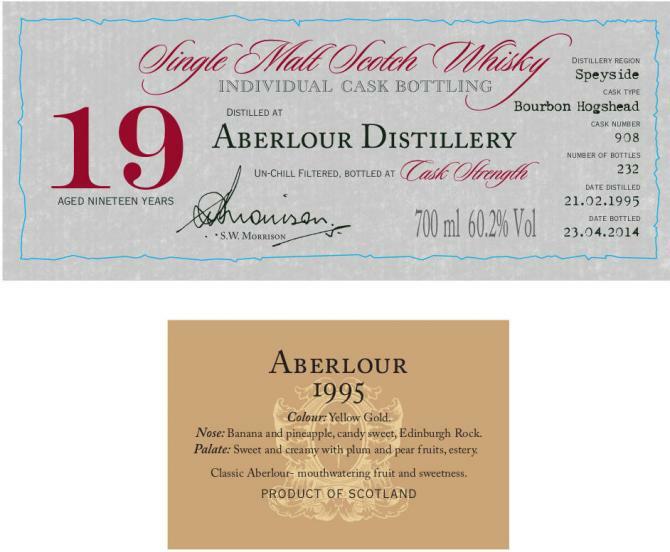 Aberlour was always sherry for me. This one is "the other side of Aberlour" (like CaskHead). 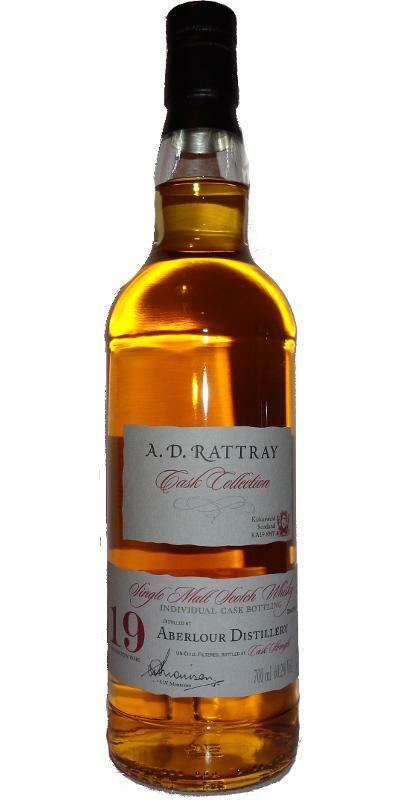 And the Rattray bottlings are a hit :). Deep bourbon flavors, sweet with banana, pineapple, candys, coconut and vanilla cream. Powerful honey, caramel and warm spices. Incredibly deep flavors. Freshly processed wood. Marzipan. Delicious. Predominantly firm, few noses. Voluminous Bourbon sweetness with lots of honey, vanilla, caramel, creamy with plums and tropical fruits (peach, papaya, citrus, oranges). Palate filling, yummy. Medium long, fruity, spicy and sweet.